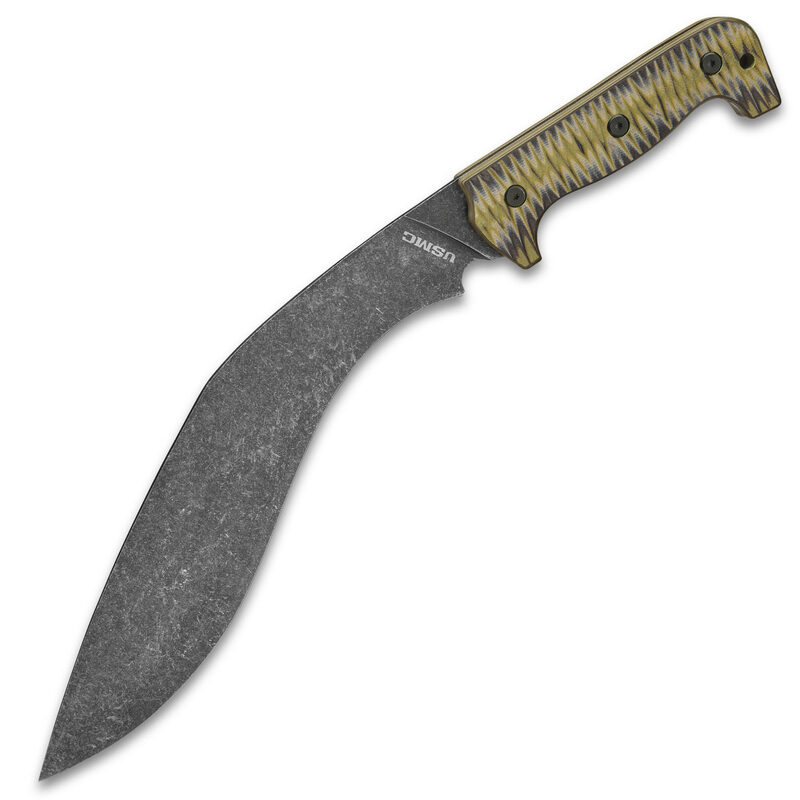 Made of rugged 3Cr13 steel, the kukri’s blade is razor sharp and exceedingly versatile. Its distinctive inward curving profile boosts swinging momentum, yielding maximum power from every chop, slash and cut. The G10 handle is equally impressive, featuring grip-improving ridges and fatigue-reducing contours. Officially licensed by the USMC, there’s no doubt about it – the Fallout Kukri is Marine-tough to the core.